She’ll never be mine. But I can’t stop thinking about her, dreaming about her, picturing what our lives could have been. The mafia got in the way for both of us. Some things though, are destined. No matter how much we change, we’re still the same stupid kids who fell for each other before reality tore us apart. I tell myself she’ll never be mine, but even I can see through the lie. She’s been mine since our first kiss all those years ago. I had to let her go then. And for years I thought she’d turned her back on me. I was wrong. Now I’ve been hired to be her bodyguard until she’s wed to a mafia prince. If I don’t get her to the altar, they’ll kill me. But the moment I see her, I realize if she marries another, I’ll be dead in all the ways that matter. Keeping her for myself will start a war. Then again, bloodshed just happens to be my specialty. 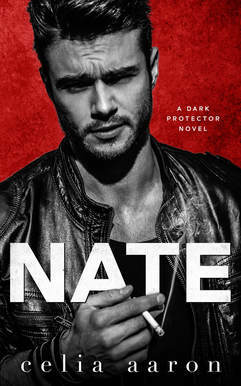 Author's Note: This is a standalone in the world of Dark Protector that was previously titled "The Butcher."